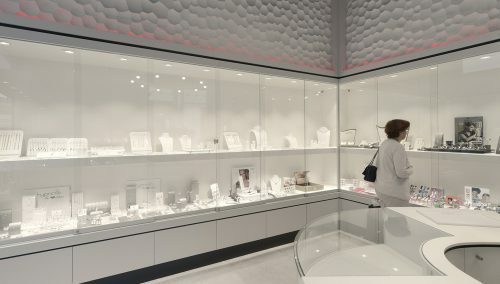 International jewellery brands, Swiss watches and collections unique in the northern Netherlands. All are in safe hands thanks to the people behind Ha Juweliers, now a household name in Haren. Under the name Ha Juweliers, jewellers Johan Leyendijk and Harold Mulder established a new way of thinking about jewellery and watches. 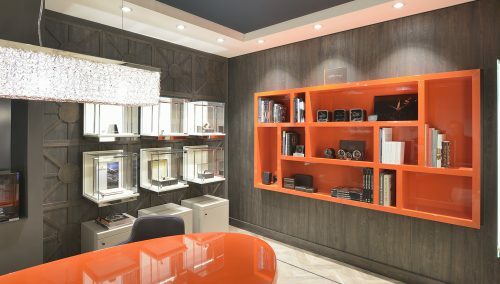 They opted for an exclusive collection containing only top products for people with good taste and an eye for quality, never ordinary in their way of life, their style and their presentation. This DNA became the starting point for WSB’s retail designers when developing the new store design: good routing? Check! Beautiful materials? Check – and highly tactile too. Focus on the gems, jewellery and Swiss brands? Check! Personal? Check, in every detail. WSB took care of the Design, Budgeting and Execution. The refurbishment was carried out in several phases.